Whether you are making your own ice cream or buying a store-bought brand, keep it fresh for as long as possible by storing it carefully. Ice cream may not last long in our house, but when it does, we want it to taste great whenever we eat it. There are four things to keep in mind when storing ice cream. It’s important to use an airtight container, such as Tupperware, for storing your homemade ice cream. Some plastic will get brittle when it is frozen, so look for containers that are designed for freezer storage. While any container that is freezer-safe will work, lidded plastic containers make for easy storage. Plus, if they are stackable it will help you organize your freezer. As you eat the ice cream, think about placing a layer of plastic wrap directly over the ice cream that is left. 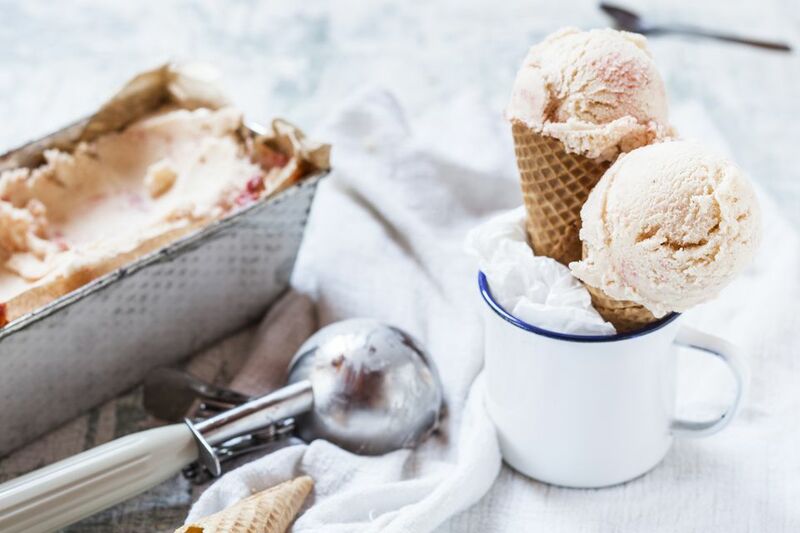 Directly pressing plastic onto the surface of the ice cream will help protect against that hard skin from developing and it will reduce the chance that large ice crystals will form and ruin the texture of your ice cream. Did you ever notice that strong smells from your refrigerator can turn up in your freezer? When you store pungent food, the smells can move quickly. Those odors can mix with your ice cream and change the flavor. Unless you have a separate chest freezer, you will need to do something to keep those flavors out of your ice cream. While there are many ways to remove refrigerator odors, the simplest method is simply to keep an open box of baking soda in both the fridge and the freezer. The baking soda absorbs any odors from other foods so your ice cream won’t start tasting like garlic or Brussels sprouts. The first step to correctly storing ice cream is to make sure your freezer is the right temperature. Having your refrigerator and freezer set at the correct temperature is a matter of food safety, plus it will keep your ice cream at its best. Ideally, ice cream should be stored below 0 degrees Fahrenheit. Just as you would check your oven temperature to make sure it is correct, check your freezer temperature on a regular basis. Adjust your freezer temperature to get it to about -10 F.
Never store ice cream in the door of the freezer. When you open the door, items stored in it will experience the most temperature change. Place your ice cream as far back in the freezer as possible. Items in the front will also have more temperature changes. Keep the freezer door closed as much as possible. Standing at the freezer and staring inside will warm all the items you are storing. Never place warm items directly in the freezer. Cool them on the counter and then in the refrigerator first.